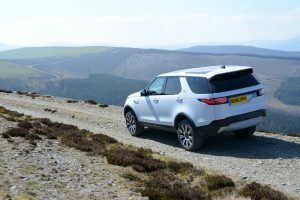 Some people have said that the new Land Rover Discovery can’t be as good as the previous model because its styling is now curved rather than square, so we decided to drive it up a mountain to find out. Surely the world’s most capable all-round vehicle? Land Rover had a difficult brief when developing its new Discovery. The previous generation model had its fan base, but the company had to move things on in terms of the vehicle’s efficiency and emissions. The result? The new Discovery is lighter – by around a third of a tonne when comparing our test car to the previous model – and it’s more aerodynamic. But can it still drive to the top of a mountain? To find out, read on and watch the video. Shock horror, the new Discovery isn’t square and boxy like the last one. Visually it’s now consistent with the rest of the Land Rover range, sitting between the Discovery Sport and the Range Rover Sport. We think it looks good, although it does appear rather tall at the rear. This is a result of the body having to incorporate seven seats, with the rear two being suitable for adults. There’s also lots of space for the three occupants of the middle row of seats. 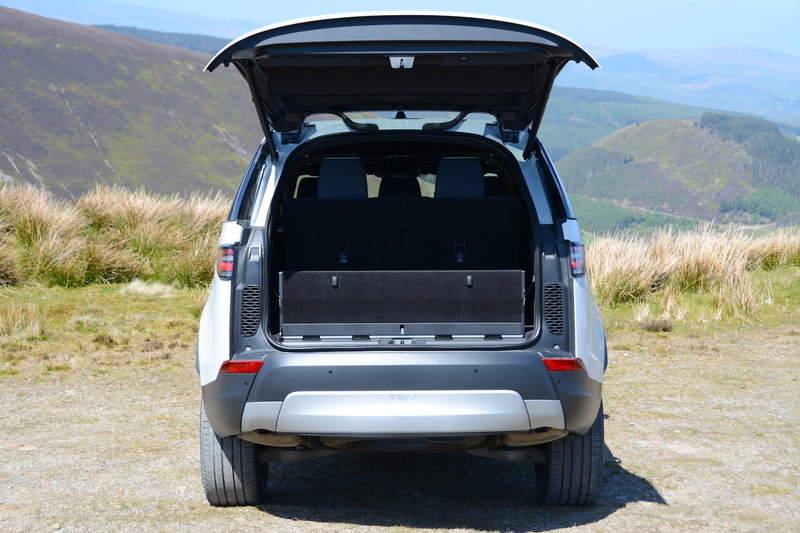 You get a whole load of buttons in the boot to automatically raise and lower the seats, and there’s even a panel that prevents dogs making a break for freedom (or shopping falling out). This panel lowers electronically to allow you to sit on it to eat your lunch while watching the horse trials. With such a huge body, it’s essential to have massive wheels to keep things in proportion. 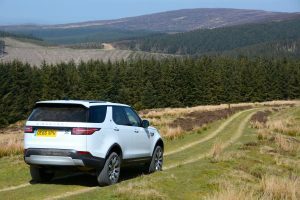 The 21-inch alloys don’t disappoint – but keep reading to find out if these are a suitable choice for off-roading. The powertrain of our test car was the V6 3-litre Td6 turbodiesel, mated to an 8-speed automatic transmission – and of course with four-wheel drive. The first impression when driving the Discovery is that, despite the new push for efficiency and lightweighting, it feels huge, as well as heavy, the latter especially when cornering. However before long you find that you’ve acclimatised to the size, and that you’re able to make faster progress than you thought possible on fast A and B roads. The first bit of good news is that the delay in initial acceleration from standstill that we’ve had to report on in connection with most recent JLR products seems to have been banished. The good news continues because this V6 3-litre turbodiesel engine delivers smooth, torquey progress at all times, and things are generally very quiet and refined from the cabin. The Discovery is also very comfortable. The seats contribute to this experience, but the suspension also soaks up most of the imperfections in our roads. 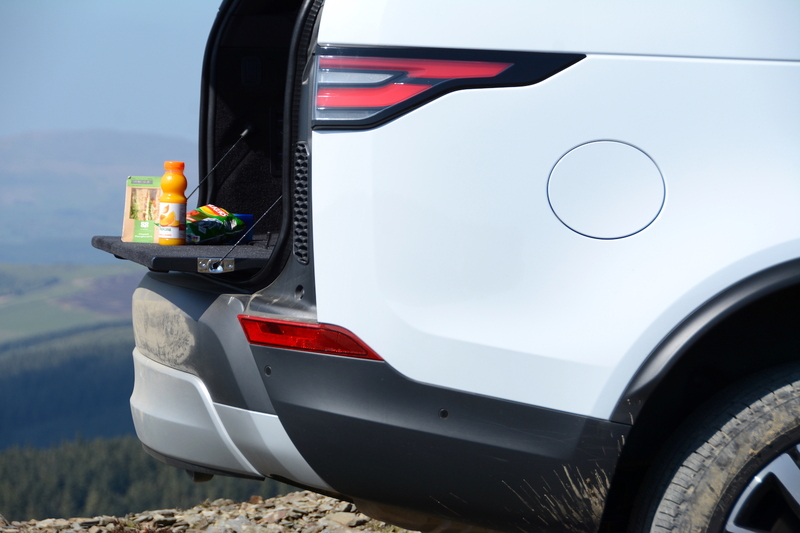 So the Discovery can eat up long journeys with ease. You get a choice of D or S settings for the transmission, and you can also change gear manually using the steering wheel-mounted paddles. This new Discovery gets JLR’s latest infomedia system. There’s a wide touchscreen, but all the menu buttons are on the screen rather than on shortcut buttons around the screen. 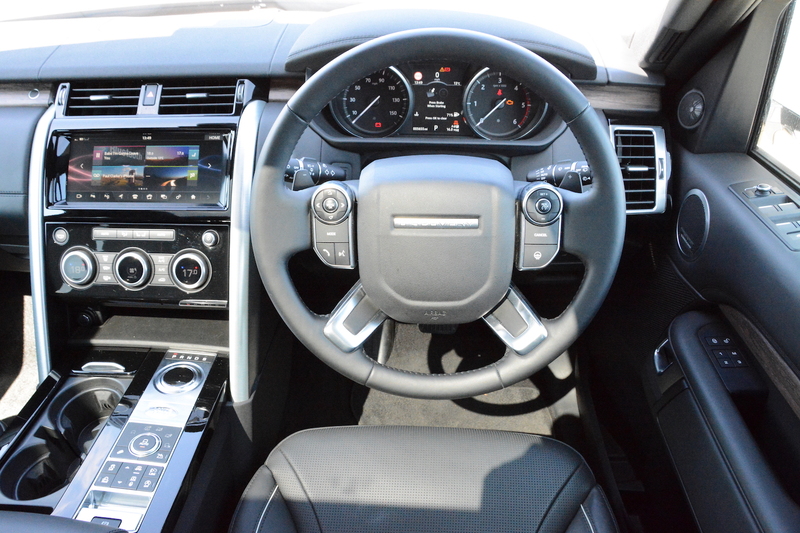 And the climate controls are also accessed via the touchscreen, which can result in too much button pressing. 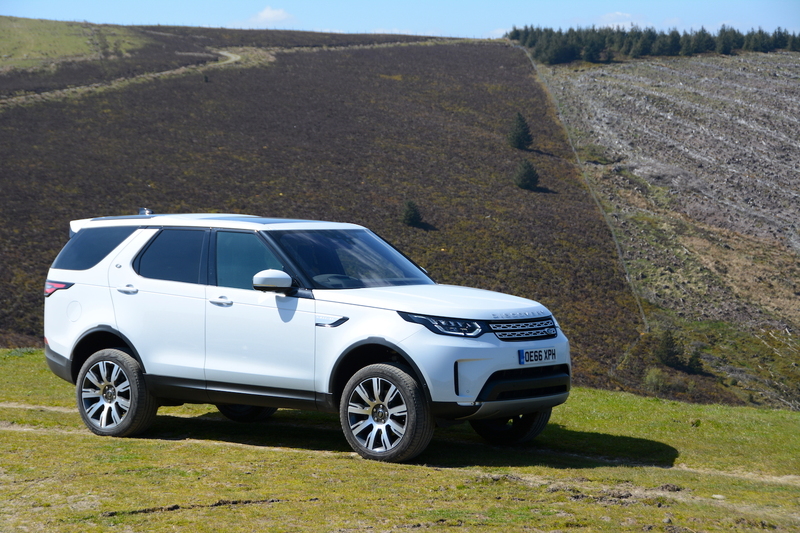 A review of the Discovery’s driving experience wouldn’t be complete without an off-road test. Can a vehicle that is so refined on the road really also be capable off the road? There’s only one way to find out, and that’s by seeing if we could drive the Discovery to the top of a mountain. Watch the video. The mountain in question has a rough track going up to the top, and then down the other side. This road is passable by off-road motorbikes and by modified Land Rover Defenders, but the ruts are so deep that any regular 4×4 would get grounded. In winter, much of the track is under very deep water – although this wasn’t a problem for us on this occasion following many weeks of dry weather. Following off-roading best practice, we brought along a support vehicle to tow us out when we got stuck. What vehicle did we choose? 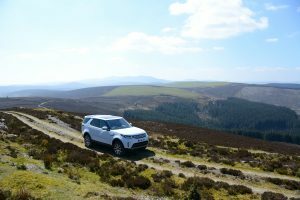 A Land Rover Discovery – but a previous generation Discovery. And an old one at that, with well over 100,000 miles on the clock. So we set off, complete with a film crew and a drone. Most 4x4s would have only progressed a few hundred yards before getting stuck/damaged. In the Discovery you could see huge bumps and ruts appearing ahead, but it just glided over everything. There wasn’t one instance of wheel slip, which was very disappointing for the film crew, who wanted lots of slippage, scrabbling and drama. After a good few miles of rocky ascents and the odd river crossing, we reached the top of the mountain, and guess what – so did the old Discovery (which was completely standard and which had never been off-roading before). However the route down the other side of the mountain was a lot more tricky. The first section was steep and very rocky. Then came the biggest challenge. The left side of the track was two feet lower than the right side. Virtually all standard production 4x4s would have got grounded at this point. 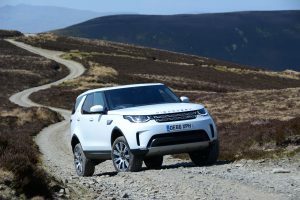 However amazingly the Discovery made it through without any contact between the bottom of the vehicle and the ground – thanks to its air suspension rising to give a clearance of 284mm. 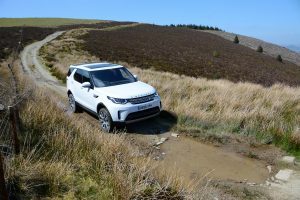 The remainder of the route included obstacles such as a very derelict boardwalk over a section of bog, and various stretches of waterlogged track – but at this time of year the water level presented no challenge to the 900mm wading depth of the vehicle. The Discovery had made it up and down the mountain with no problems. Although we selected the maximum ride height, we left the terrain response dial in auto mode throughout, and at no stage did we even have to engage the Discovery’s low ratio function, or even its hill descent control. So it could have coped with a lot more. We’d love to say that no Discoveries were harmed during the making of our film, but thanks to its huge alloys and low profile tyres, our test car did sustain a few scuffs to its wheels from errant rocks (sorry Land Rover). 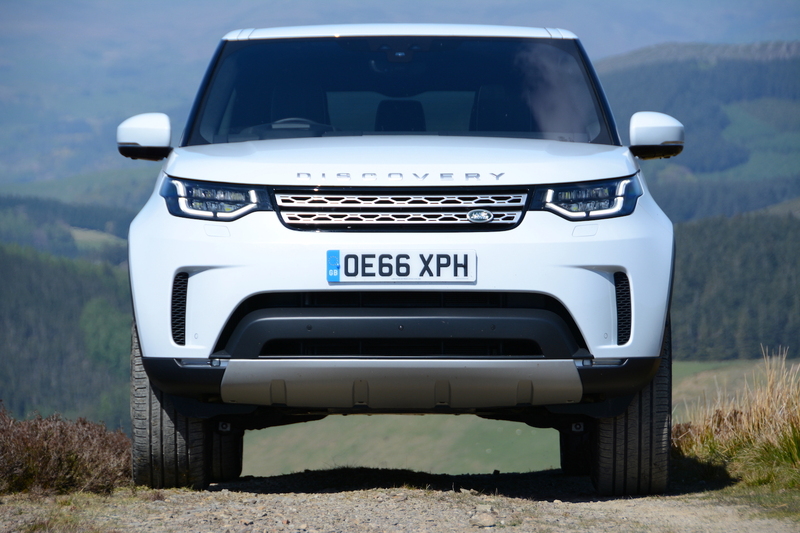 Interestingly, the old Discovery, with its small wheels and huge sidewalls, had no such problems. 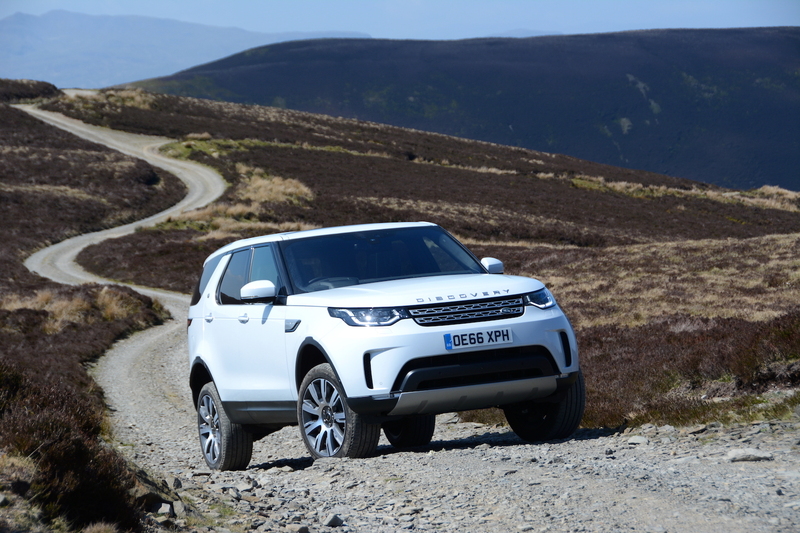 So, even though it’s no longer square and boxy, the new Discovery is still extremely capable off road. Just make sure you choose your wheels and tyres carefully if you intend tackling any mountains. 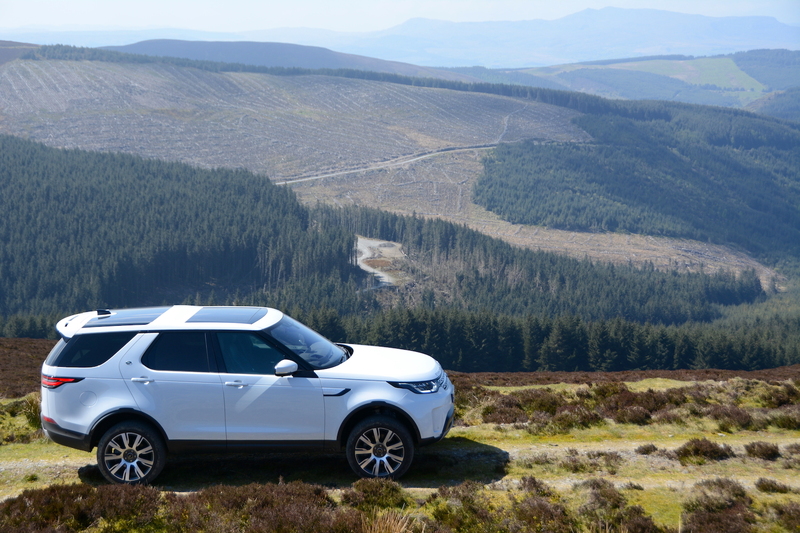 The official combined NEDC economy figure for the Land Rover Discovery Td6 is 39.2mpg. This is hardly in the realms of Toyota Prius levels of economy, however the Toyota Prius can’t transport seven adults up to the top of a mountain in luxury. Despite this new Discovery being lighter and more aerodynamic than the previous model, at 2,230 kg it’s still heavy, and a car of this bulk is never going to be genuinely aerodynamic. So what did we get in real-life driving? The best we achieved was 39.9mpg at around 50mph on Welsh A-roads. After a week we ended up with an average of 34.7mpg. However perhaps the most interesting figure is the economy after the two hour drive to our Welsh mountain, our drive over the mountain for a good few hours (thanks to our film crew…), and a two hour drive home; after all that the Disco recorded an average of 28.8mpg. We’d say that was pretty impressive. 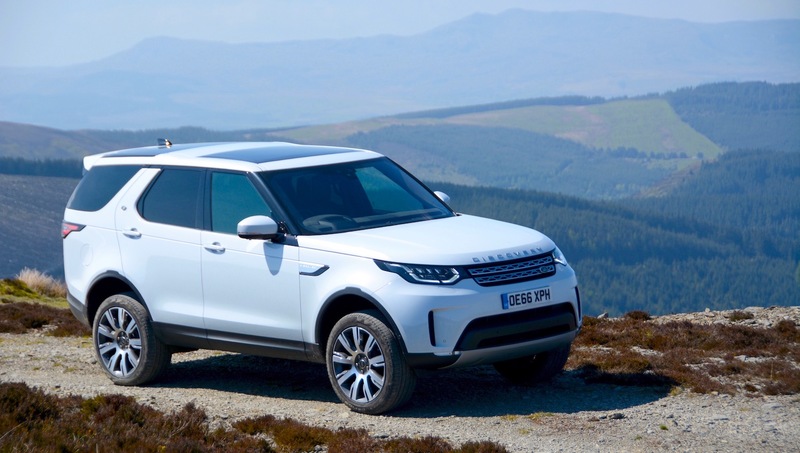 One final point is that the Discovery has an official driving range of over 700 miles on one tank of diesel – equating to a real-life range of over 500 miles. There’s no electric or hybrid vehicle that could compete with this. So despite all the demonising in the media, diesel does still have its benefits. 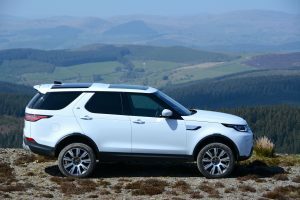 The Land Rover Discovery Td6 HSE Luxury costs £64,195. This sounds a lot, but to put it in perspective, it’s basically a Range Rover with seven seats – so relative to that, it could be seen as quite good value. 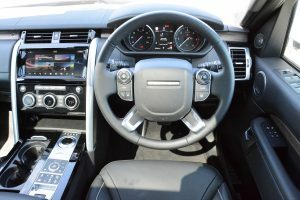 Our test car had a number of options: Yulong White paint (£830), 21-inch Diamond Turned Wheels (£520), Ebony/Ebony Leather Seats with Massage (£870), Privacy Glass (£390), Capability Plus Pack (£1,000), Front Centre Console Cooler (£235), Electrically Deployable Towbar (£985), Smoker’s Pack (£35), Park Assist (£935), Activity Key (£315), Television (£880), Head-up Display (£1,035), Second Row 2 x 12 Volt Charging Sockets (£110), Climate Seats/Second Row + Heated Rear Seats (£835), Timed Climate, Park Heat with Remote (£1,035); taking the total price of our test car to £75,570. Prices for the Discovery range start at £43,995. You can choose between S, SE, HSE and HSE Luxury trims. Engine options are the two diesels: the 240hp 2.0 SD4 and the 258hp 3.0 TD6; or the 340hp petrol 3.0 Si6. 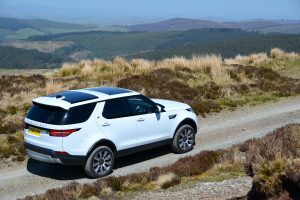 The new Land Rover Discovery has to be one of the world’s most capable all-round vehicles. It’s luxurious on the road, it seats seven, and it’s extremely capable off road. You’re left with the feeling that whatever the weather or the environment throws at it, everything would be fine. So should you go for the 4 cylinder 2-litre diesel or the V6 3-litre diesel? From a green point of view, you should choose the 2-litre diesel. However there’s only about 4 mpg difference between the 43.5mpg 2-litre and the 39.2mpg 3-litre diesel. 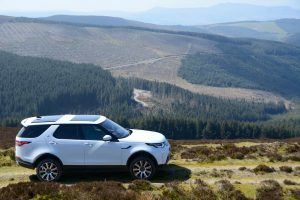 Having driven the 2-litre diesel in the Jaguar F-PACE and in the Land Rover Discovery Sport, we would go for the 3-litre V6 diesel in a car that’s as heavy as the Discovery. It may not be ultimately as green, but its torque and smoothness are more in keeping with what Discovery owners are likely to expect. So what rating does the Discovery get? Although it can only just stretch to 40mpg in (careful) real-life driving, because it’s such an incredibly capable all-round vehicle, it has to be awarded a Green Car Guide rating of 9 out of 10. 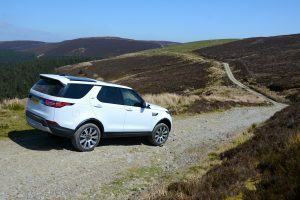 However if you do buy a Discovery, just make sure you use all of its capabilities to the full, otherwise you may as well buy a family hatchback.